Bad news, Jaguars fans. No, not the fact that you lost this past week. Well... I guess that, too. Double bad news, Jaguars fans. Jacksonville lost their matchup with the Kansas City Chiefs on Sunday and fell to 3-2, which dropped them to second place in the AFC South. To make matters worse, the team came out on Monday and announced that star running back Leonard Fournette has already been ruled out for next weekend's game against the ​Dallas Cowboys . 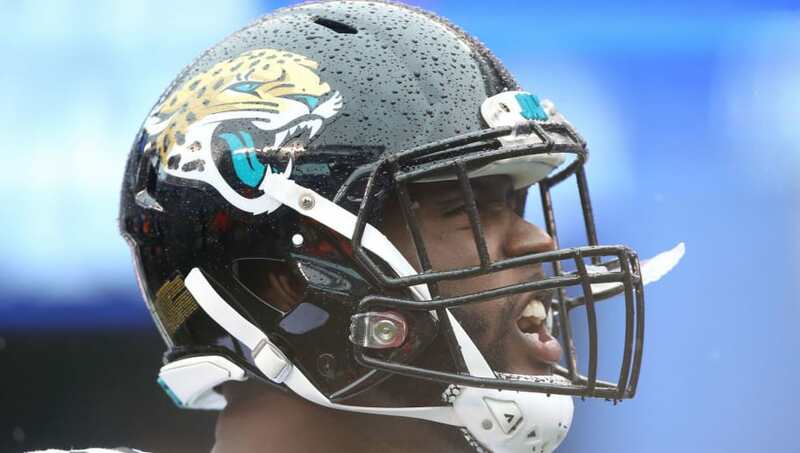 Fournette is still dealing with the effects of a hamstring injury that he re-aggravated against the New York Jets two weeks ago, and the issue is significant enough that the former LSU Tiger won't even attempt to get back to practice this week. The star runner impressed in his rookie season one year ago when he put up over 1,000 yards and logged nine touchdowns in just 13 games. In his place for the Jags is the talented T.J. Yeldon, who has produced serviceably with 452 yards from scrimmage and four total touchdowns through five games. An injury to depth runner Corey Grant also complicates things for Jacksonville, who will need some reinforcements behind Yeldon. In all likelihood, they'll need a body or two for an extended period. It's next man up for Jacksonville until their No. 1 back returns. The good news is that they play Dallas and Houston over their next two games, a couple of opponents unlikely to pose a meaningful threat.